Preventive measures save money and time, improve and preserve the quality of life. Welcome to ‘Floris’ Medical Center website. You can review the feedback of our patients and estimate the level and quality of medical services provided. You can make an appointment or ask a question right on the website. We will respond to your question by mail or in any other convenient way. X-ray, mammography, densitometry, endoscopy, etc. The best in the region and in the whole country highly-sensitive USI equipment of the highest quality makes it possible to detect diseases at the earliest stages. Ultrasound investigation of numerous organs and vessels, which we can investigate, has been earlier considered impossible. We opted for the best equipment being guided with two principles: wide range of investigations performed by the machine and high accuracy of findings. Positive responses and recommendations from our patients are the best thank for us. The cases of precise diagnoses are the capital which we accumulate. Our website contains plenty of information about our medical center and the services we render. If you cannot find the information you need, you may use Search function or call us for consultancy. There is an availability schedule and a full list of contact information, therefore you can contact us in any convenient manner. We can also call you back by the request and consult you on the medical center and the services provided. For better information content, we have added an interactive map of the centers locations. You can easily reach us by car or public transport. 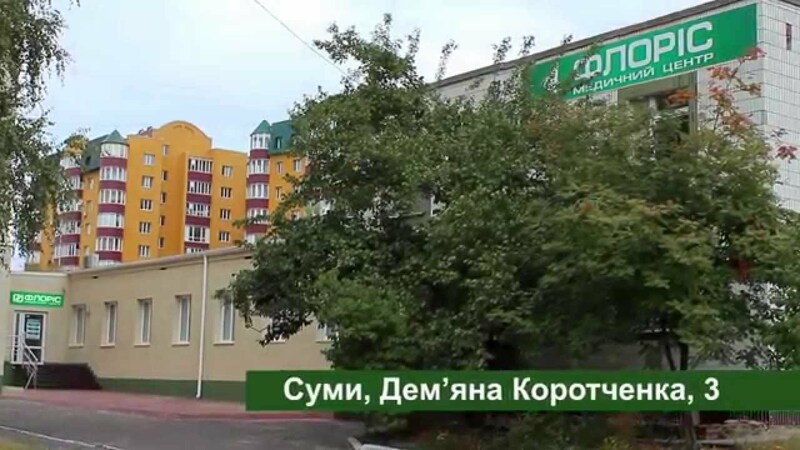 One of the key directions in the operation of ‘Floris’ medical center in Sumy is the ultrasound investigation. You can find a detailed list of all ultrasound investigations which we conduct on our website. Our advantage is the high-quality USI. There exist two types of mammography: X-ray and ultrasound. Up-to-date mammography enables to diagnose early stages of breast cancer, which allows for conservative treatment instead of mutilating surgeries. With the comprehensive approach (USI and X-ray digital mammography), positive result in oncopathology detection achieves 99%. Strong bones are the basis of general health. This is why it is so important to diagnose timely the bone tissue disease – osteoporosis. Test your bones for strength! Informative investigation enabling for biopsy while endoscopic examination is the cornerstone of precise diagnosis. It allows to set a precise diagnosis through visualization and to prove it with histological examination of biopsy material. Laboratory diagnostics is a very complex sphere which requires high precision and compliance with hundreds of quality standards and rules. Do not risk your health! Trust it only to responsible professionals. Shockwave therapy is a conservative medicated method of traditional physiotherapy. Up-to-date methods of functional diagnostics, in particular, echocardiography, electrocardiography, holter monitoring of ECG and 24-hour blood pressure monitoring. Fine-needle aspiration biopsy (FNAB or FAB) is currently considered as the basic method for diagnostics of nodular lesions of thyroid, mammary gland, lymph nodes, masses in soft tissues etc. High accuracy and promptness of investigation are ensured with the own up-to-date clinical diagnostic laboratory, high-technology diagnostic equipment of gastroenterology and hepatology department at our center. Consultancies are provided by the competent doctors with large experience of practice. Many of our doctors are the authors of unique methods and techniques, have certificates, patents and awards for contribution to development of medical science. USI doctor, physician (family doctor), gastroenterologist, gynecologist, urologist, endocrinologist, neurologist, cardiologist, orthopedic and trauma surgeon, vascular surgeon, mammologist, rheumatologist, endoscopist, infectious disease doctor, dermatologist, allergologist, pediatrician, otolaryngologist, bone doctor, massage therapist, pediatric infection disease doctor, pediatric orthopedist. Application of investigation methods, which conform with the international standards of quality, and use of the certified consumables ensure accuracy and reliability of our investigations. Investigation methods comply with the international standards of quality. Compliance with the standards and requirements. High standard of laboratory quality compliance at all examination stages. We take responsibility for quality since sampling till issue of the medical report. The quality standards for sampling, storage and delivery of the investigation material have been developed and implemented. Our specialists take training courses on a regular basis, undertake internships, attend conferences, seminars and workshops in their immediate and related specialties. This enables them to follow advance knowledge, high standards of diagnostic and treatment. It is trendy and necessary now to be healthy. Saving on your health is a crime against yourself. Only a healthy person may be truly happy. Helping people to be healthy, to benefit from high-quality and professional diagnostics and treatment, using the contemporary methods and high-quality equipment. Provision of the full range of services to the patients: proper diagnostics, accurate clinical analyses, consultancies by the highly competent doctors and effective treatment. 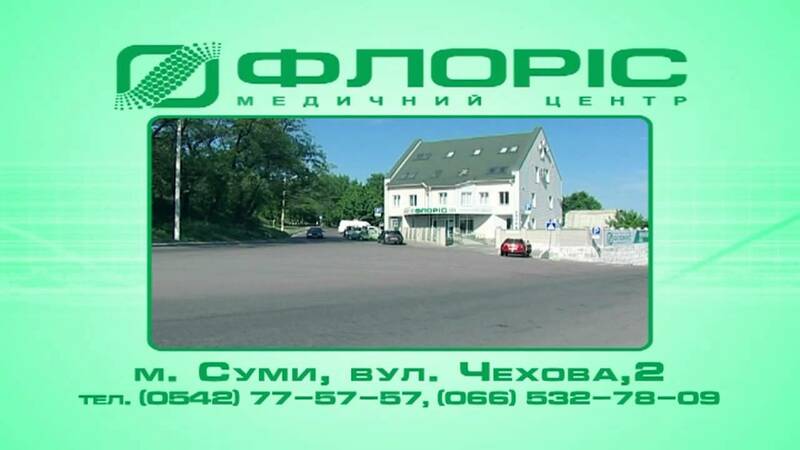 Provision of high-quality medical services to the patients not only from Sumy and Sumy region but other cities and towns of Ukraine, or abroad. We do care about health of our patients. Respectful attitude to patients, precise diagnostics and effective treatment ensure positive feedback about our center, and we are proud of it! Unique modern expert-class equipment, proficiency and expertise of doctors allow for making precise diagnoses at early stages, comprehensive approach to treatment and prevention. The most important aspect in operation of our medical establishment is precise diagnostics. Detection of a disease at early stages saves time, money and lives! Positive feedback is the best thank! Patients feedback is an excellent means for making a right choice from the variety of medical centers. We carefully treat all our patients. All your feedback is important for us and we look forward to receiving it. You may be quite sure that none of your feedback will remain without our attention!